Varad Deshpande likes to dream big. The HEC Paris MBA student was only 19 years old when he co-founded his business, after realizing the potential in an egg seller’s cart parked across from his undergraduate business school. 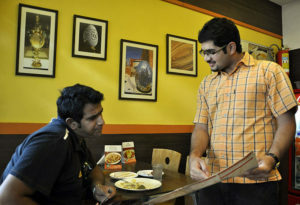 Two partners and seven years later, Varad’s restaurant Yolkshire has grown into a three-location franchise in India. Though someone else has taken over as CEO during his studies, Varad still reviews the weekly sales figures. From his dorm room on the HEC Paris MBA campus, he remains ultimately responsible for the breaking and cooking of an estimated 2,400 eggs every week. 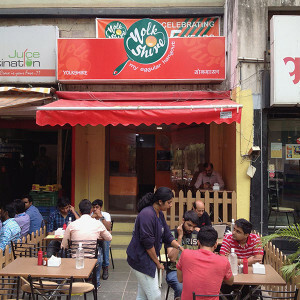 The original Yolkshire is located in Pune, India. To reach that goal, Varad enrolled in the HEC Paris MBA last September. Growing up, sports took priority over school for Varad. At his peak, he ranked 43rd in all of India, and was playing in international tournaments. And the rest is business history. But now that he’s made the decision to do his MBA, is it possible that his dream might change once again? Varad says that anything is possible. For the moment though, he remains dedicated to improving his restaurant acumen. He tries one new Parisian restaurant every week, and revels in having the time to reflect on what he’s already accomplished. 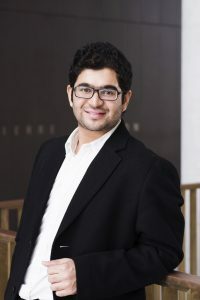 After graduation from the HEC Paris MBA, Varad would like to experience working in the restaurant industry in Europe before expanding his operation in India. After that, he says to watch for a Yolkshire restaurant coming to a town near you.